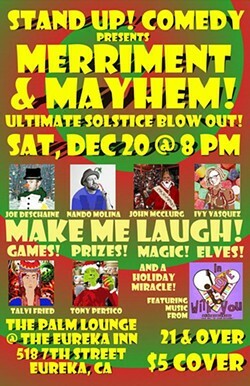 It's the "Ultimate Solstice Blow Out" at the Palm Lounge. Make Me Laugh is back, but it's only part of the festivities. 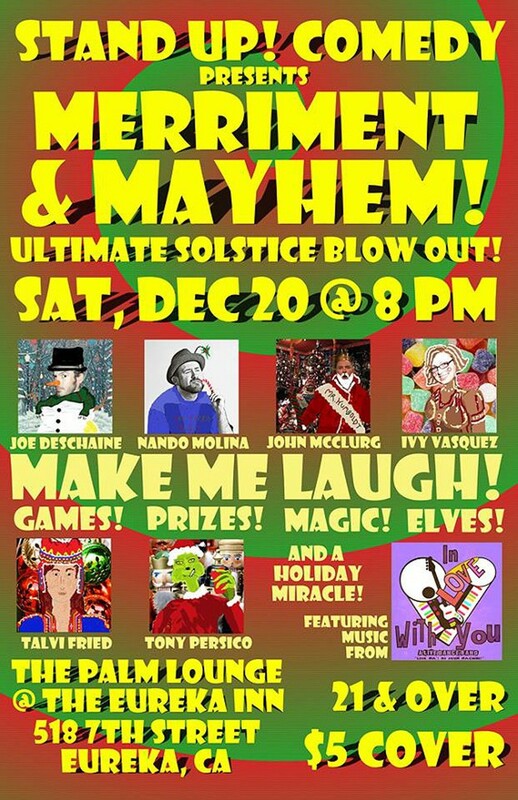 Join hosts Talvi Fried and Tony Persico for a night that will live in infamy. Humboldt's own Joe Deschaine, Nando Molina, Ivy Vasquez, and the reigning Mr. Humboldt, John McClurg, give you their best before the game. Plus music from In Love With You and No Covers.